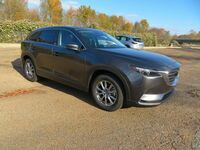 The Mazda CX-9 is the full-sized SUV from Mazda. This model is built with meticulous styling and an array of details that are seldom seen outside of luxury auto manufacturers showrooms. 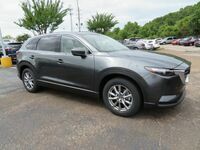 Stunning craftsmanship and an attention to detail unrivaled by competitors make the 2017 Mazda CX-9 in Memphis, TN the perfect choice for your next SUV. Seating for up to seven passengers and a great deal of cargo space makes this model not only stylish, but functional as well. Manufactured with an emphasis on performance and agility, this SUV is ready for the open road. A sense of adventure and unrivaled sophistication blend together seamlessly in the Mazda CX-9. 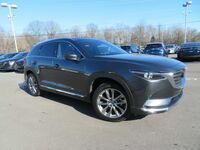 For those who are bold, and for those who value, above all else, the drive, the Mazda CX-9 is tailor-made for you. 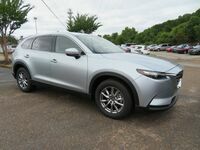 The 2017 Mazda CX-9 has four distinct trim levels in its family. These include the Sport, the Touring, the Grand Touring, and the Signature trim levels. Each is equipped with different features and amenities, as well as trim-specific stylistic elements. In this model, there are many options for cargo carrying capacities. With all the seats up, you'll find 14.4 cubic feet of space. With the 3rd row folded down, you'll increase the space to 38.2 cubic feet. If you need even more room, you can fold down all of the seating to access 71.2 cubic feet of cargo room. 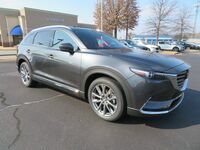 All Mazda CX-9 models come equipped with a SKYACTIV®-G 2.5T Dynamic Pressure Turbo DOHC 16-valve 4-cylinder engine with VVT. 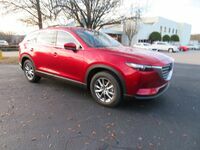 This allows the Mazda CX-9 to reach max horsepower of 250. With these specifications, you'll have enough power to get you through your day and then some.